The Stelvio Pass - it's not the most beautiful, but certainly one of the highest (official the third highest in the Alps at 2757M) and most dramatic mountain passes to drive in the European Alps. Of course much was made of the Stelvio Pass after Top Gear voted this the best driving road in the world in 2008. A pretty bold claim, and actually in our opinion it's not the best pass in the Alps to "drive" however, that said, it is a truly stunning road to view, and the wall of 48 switchback turns running up its north face really are a sight to behold, and worth the drive for that part alone. However, here's the catch. 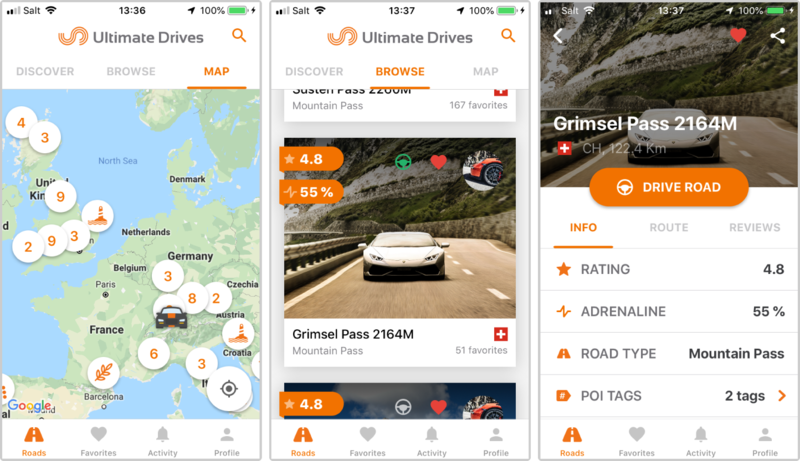 Due to the Stelvio Pass's iconic status (not just with car enthusiasts but bikers), it's one of the busiest of the ultra high passes in the Alps. This means, to get the most out of the drive, you want to be on the road nice and early, plus ideally midweek and outside of the peak months of July and August. We also strongly recommend that when you drive the Stelvio Pass, you locate yourself in a hotel very close to the pass (such as the beautiful Bella Vista in Trafoi) that way you can rise early, and drive the Stelvio Pass before any tourist traffic starts to arrive. Anyway, the next question seems to be, from which direction should I tackle the Stelvio Pass? Heading back down the Stelvio Pass towards Bormio is still a great drive and there are several superb vantage points to park up and take pictures back down the valley, though once at the foot of the pass your are literally spat out into the centre of Bormio, which is not the most beautiful of places at the best of times. Tip - if you like tight and twisty passes, rather than heading down to Bormio, less than 1KM after starting the ascent, head north and onto the Umbrail Pass, and back into the Swiss National Park, this deserted pass really feels like you are visiting the land that time forgot, then takes you directly into the heart of the Swiss National Park and the beautiful Offenpass.